A lucky rescue squirrel found a new home and cultivated a taste for the finer things in life. 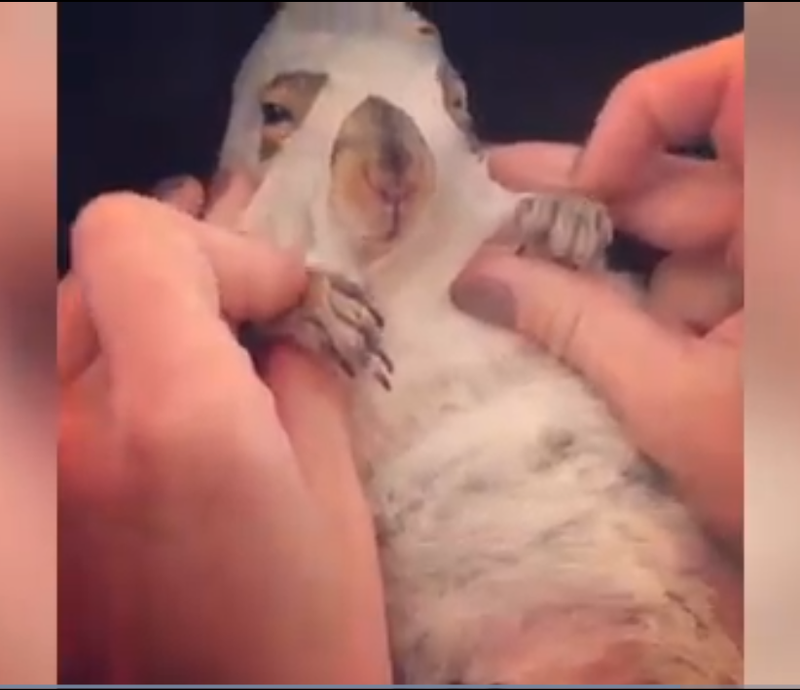 Christina Reyes of the Bronx in New York is devoted to lavishing her pet squirrel Thumbelina with love, affection, and luxurious treats. Over the two years that the two have been in each other's lives, Reyes has spent $10,000 on her pet, giving her spa treatments and buying her expensive food. Reyes says that Thumbelina - so named because of her diminutive stature - is "not outside squirrel material". Reyes said that Thumbelina is her "best friend". The two often watch TV, cuddle on the sofa, eat avocado, and use face masks together. Reyes and her husband, who both agreed that they don't want children, treat Thumbelina like their own baby. Could Thumbelina be the most spoiled pet rodent in the world?